One of the only fragrant red climbers in the world! 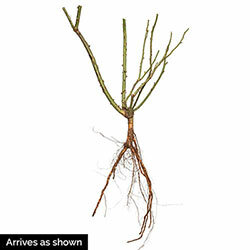 This beauty blooms on new and old wood, so you don't have to worry about pruning off this year's flowers. 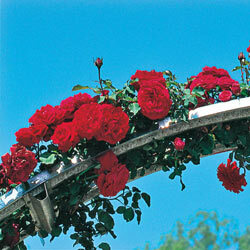 Its upright pillar growth makes it a skilled climber for training up trellises, arbors and pillars. Tight clusters of vivid red blooms excite in the garden and in floral arrangements. 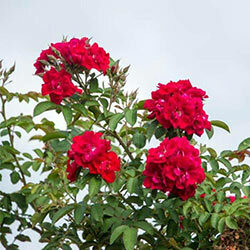 Flower Form: Tight clusters of vivid red blooms. Soil Requirements: Well drained, humus enriched, slightly acid.